This supposedly “based-on-a-true-story” telling of the story of the Piranha Brothers is easily the worst film ever made, because of its obvious incorrect events. Spiny Norman the giant hedgehog never turns up, Harry “Snapper” Organs is disguised as Doctor Who rather than Gloucester from King Lear, and Doug never once uses his trademark sarcasm. Zero stars out of five. Right, now that the obligatory Monty Python jokes are out of the way, we can actually discuss Legend. This is similar to a previous film of this year, Southpaw, in that the main draw is a single performance. 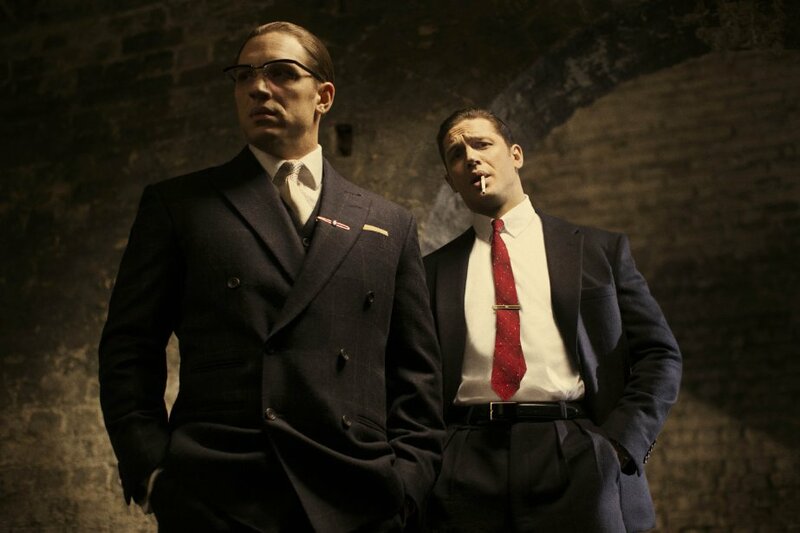 Or rather two; Tom Hardy as both of the Kray Twins. This is far and away the best aspect of the film, with the seamless effects and cinematography and Tom Hardy’s towering performances convincing you that Ronnie and Reggie really are portrayed by two completely different people. Of course, the script’s heavy focus on Reggie helps as well, with Ronnie Kray becoming more of a side character by the end of the film. This is because, like all British gangster films, this film bears more than a passing resemblance to The Long Good Friday; a self-confident criminal attempts to enter legitimate business, involving the Mafia, but his violent sociopathy and old bad habits reveal themselves more and more until he is consumed and, inevitably, destroyed by them. In British crime drama, everyone is Harold Shand. However, because Legend is based on a true story, it is faced with the same problem almost all of real life has; people rarely go through satisfying arcs, especially not in a well-paced and crafted narrative. 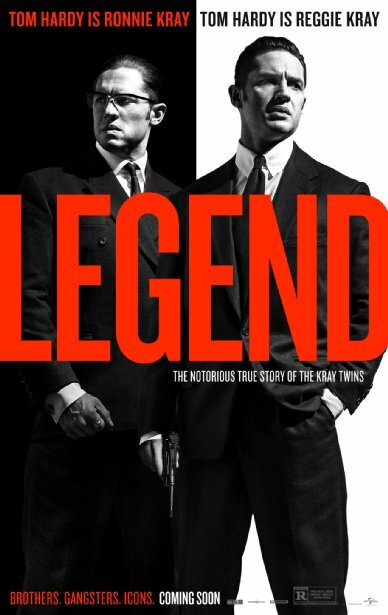 And Legend, being roughly 18,000 years long, suffers for it; Reggie Kray ends his story arc about two-thirds of the way through the film, but the whole film is him just being the psychotic thug we already knew he was, and the film judders awkwardly to a halt about half a lifetime after the audience stopped caring. 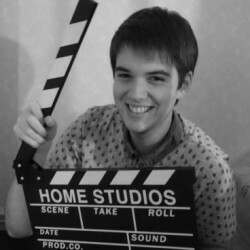 Ironically, it’s Ronnie, the far less developed and complex character, who ends up being the more interesting character. He’s functionally just a representation of what Reggie is truly like under his delusions of respectability, but he has by far the funniest quips and ultimately the more sympathetic and understandable despite starting the film as a violent, egotistical, schizophrenic thug and ending it as a violent, egotistical, schizophrenic thug. The rest of the actors are very good, at least, both in the small roles and big. Emily Browning works wonders as Frances, always being vulnerable while never appearing weak, a difficult thing to achieve even with a good script. Taron Egerton also works well, though because he carries a lot of his performance from his prior work as Eggsy in Kingsman, I keep thinking this film is some sort of strange prequel. The film, too, is competently shot, but most of the effort goes into making it look like there are two Tom Hardy’s in the room at once, with the rest of the film just being serviceable. The script, on the other hand, is bristling with style and flair, with a lot of humour and some clever pathos. Unfortunately, after a killer first half, Brian Helgeland’s script begins to buckle under the strain. The problems with the story arcs and the characters become gradually more noticeable, and you wish that this film was more of just a straight-up crime flick, like a Guy Ritchie film. Instead, the drama sort of sputters to a close, with Reggie’s botched arc and bad pacing stopping what could be a modern classic from being anything more than just a pretty entertaining ride. It would’ve been better, though, if someone got their head nailed to the floor. Legend is up there with the best films of the year. That’s no easy win with Mad Max: Fury Road, Kingsman: the Secret Service and Jurassic World all currently jostling for top spot, but Tom Hardy’s unbelievably good performance here is enough to give it consideration among those box-office behemoths. What it has in spades is class, charm and wit. Hardy deserves an Oscar nomination for his work here and it’ll be a travesty if he’s not recognised at next year’s awards ceremony. Yes, it’s a little over dramatic at times and some of the camera angles suffer due to Hardy’s efforts at playing both the Kray twins, but none of that really matters. Legend is exceptional storytelling about two exceptionally interesting individuals. It’s a must see for 2015.